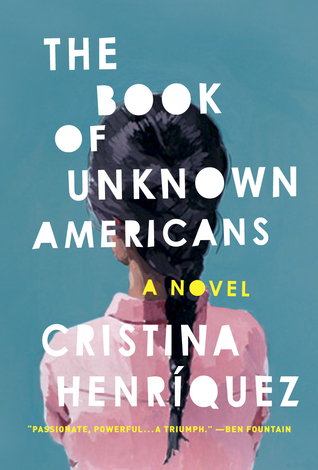 The Book of Unknown Americans by Cristina Henriquez is a book that insists on and embodies empathy. After their daughter Maribel sustains a head injury, her mother and father make the decision to leave their home and successful business in Mexico to put Maribel in a special school in the United States. They end up in a fairly rural area in Delaware in the Redwood Apartments living alongside immigrants from a variety of Latin American countries. Mayor Toro, whose parents moved to the US from Panama 15 years prior, also lives in the Redwood Apartments and quickly becomes friends with Maribel because he can see beyond her injury and the ways in which it has changed her personality and her ability to function in the world. It was really difficult for me to figure out how to review this one because it's difficult to read, brutal at times, but there's still a subtlety to it that sets it apart from other issues-based, largely violence-based, books I've read in recent years. The characters in The Book of Unknown Americans face tangible, unrelenting problems every day: the distinct possibility that an illness or a family emergency could put them out of a job. The mental and emotional fatigue they experience working at thankless, relentless, mind-numbing tasks. The overwhelming hurdles caused by language barriers, cultural differences, and prejudice. 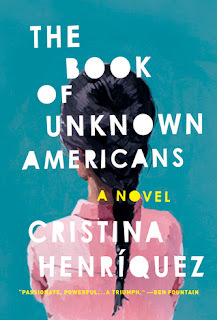 That's not to say that there is no violence in The Book of Unknown Americans, but it is not the main thrust of the novel. It's really the everyday hardships that comes to the fore. Sprinkled throughout, between the chapters about the Rivera and Toro families, were small excerpts from other characters' perspectives: the landlord, the next-door neighbor, the gossip, the slacker. Not only do they tell their backstory, we get a feel for their cultural differences and the distinctiveness of their individual experiences. It's a quiet book, overall, but it's such a very good book. Thoughtful, heart-wrenching, demanding but subtle and so finely crafted that you can take it for granted. Don't miss this one. Link your #WeekofReviews posts below! I seriously had no idea what this one was about. It sounds pretty deep. It is deep, but it's so so readable. Good stuff. I LOVED this one!! I'd go back and read it again...I probably should. I'm so glad you enjoyed it and what a great review! Yay! This one has been on my TBR forever and has survived multiple TBR list purges. I also recently figured out my library Overdrive account and saw this is available. So, hopefully I'll get to it sometime soon! I love books that make me think like that. This sounds good! Yeah, I read this and it was really good at the time, but I can hardly remember it now. It is weird how that happens! Oh I need a quiet, deep book like this. I have seen this cover floating around, but hadn't heard what it was about until reading your review. Thanks for sharing! I REALLY liked this one. Have you read her first novel, The World in Half? I looooooooved that one, even better than this. I really hate books that are too violent, but even books that sound darker like this one make me nervous. I know books like this are important, but it's hard to make myself pick them up!